Although the term does seem somewhat paradoxical, many couples are beginning to choose a collaborative divorce as opposed to conventional divorce proceedings. In a collaborative divorce, both parties and their lawyers choose to resolve all divorce issues cooperatively and civilly away from the courtroom. By choosing a collaborative divorce, couples can get through a divorce settlement smoothly and efficiently without the stress and trauma of the stereotypically heated divorce case. If you are considering a divorce and you do not have a hostile relationship with your spouse, a qualified legal representative can help you to understand the possible advantages of seeking a collaborative divorce. 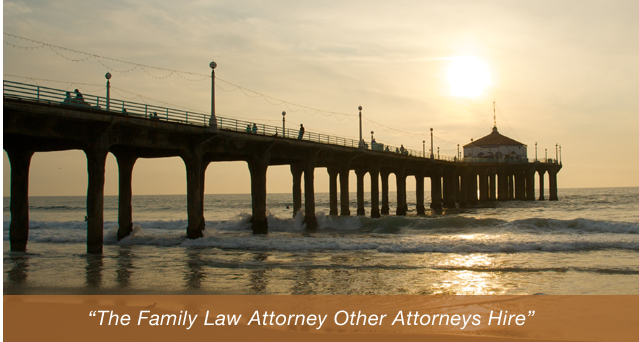 At the Law Offices of Baden V. Mansfield, our Manhattan Beach collaborative divorce lawyers are here to provide you with the legal assistance you need. Contact us today by calling 310-546-5858 to schedule a free consultation with a legal professional. Unlike with conventional divorces, many couples who are able to complete a collaborative divorce hope to keep an amiable and respectable relationship after the divorce, especially if children are involved. If you want to pursue a collaborative divorce, contact one of our qualified attorneys today. The time to act is now. Pursue the divorce you and your former spouse want. To discuss your options or ask questions of a qualified legal representative, contact the Manhattan Beach collaborative divorce lawyers at the Law Offices of Baden V. Mansfield at 310-546-5858.